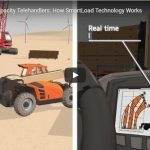 Are you looking to repair your broken down equipment in the field ? Or just a oil change and lubrication ? West Coast Equipment has field service mechanics all across Southern California. Our JLG and Gradall factory trained mechanics are on the road every day completing routine maintenance and repairs to customer owned equipment. 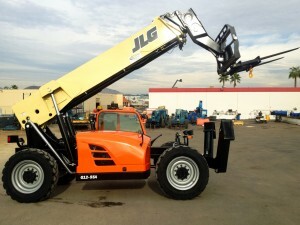 West Coast Equipment- JLG Gradall field service maintenance trucks are stocked with the most common factory JLG parts. We make repairs to hydraulic hoses, batteries, switches and major parts needed to get your equipment back up making you money. 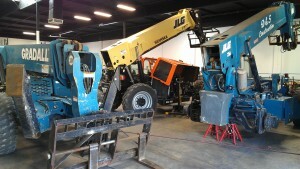 Our speciality is in repairs to JLG scissor and boom lifts and Gradall, Skytrak and JLG reach forklifts. Routine maintenance programs and GPS tracking system are available to keep up on maintenance intervals. 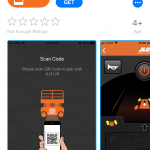 We provide oil change, lubrication and filter services on your job site using quality JLG factory parts. Give us a call to schedule your service today ! 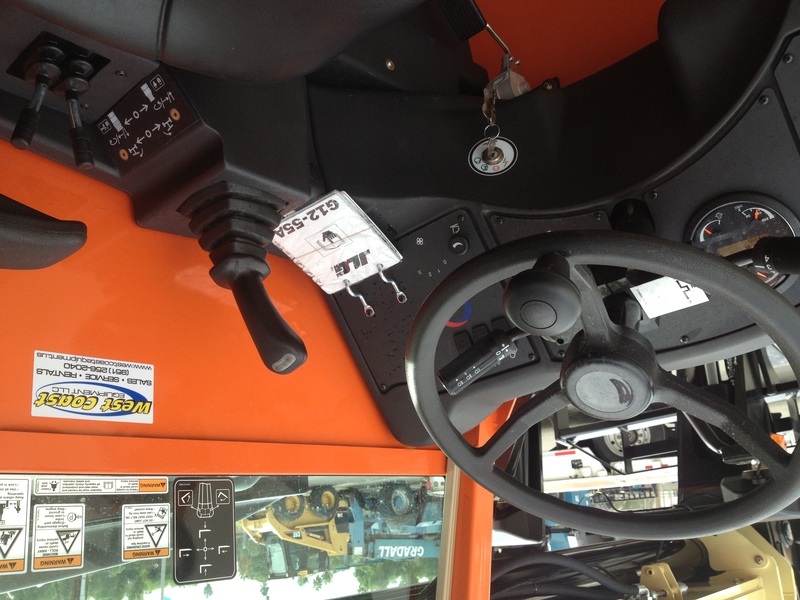 The new WCE crane lube truck is stocked with JLG factory parts. One of West Coast Equipment’s recent sales was to do a recondition reach forklift project and get it back to proper working condition and appearance. 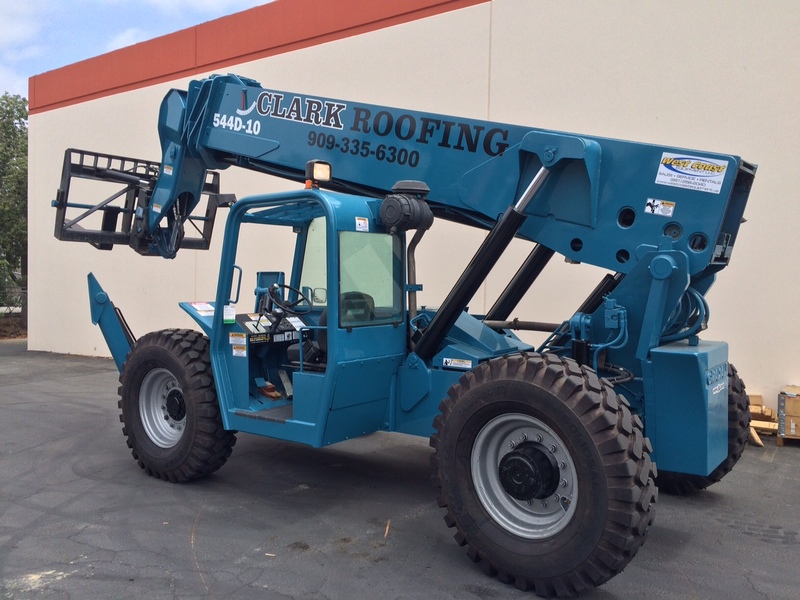 Our client was ready to make their first purchase of a Gradall reach forklift for their roofing business. 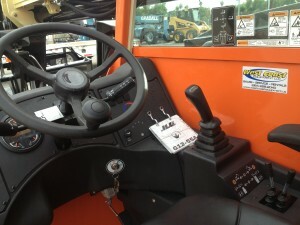 They chose to go with a pre-owned Gradall 544D model that West Coast Equipment had in stock and available for sale. 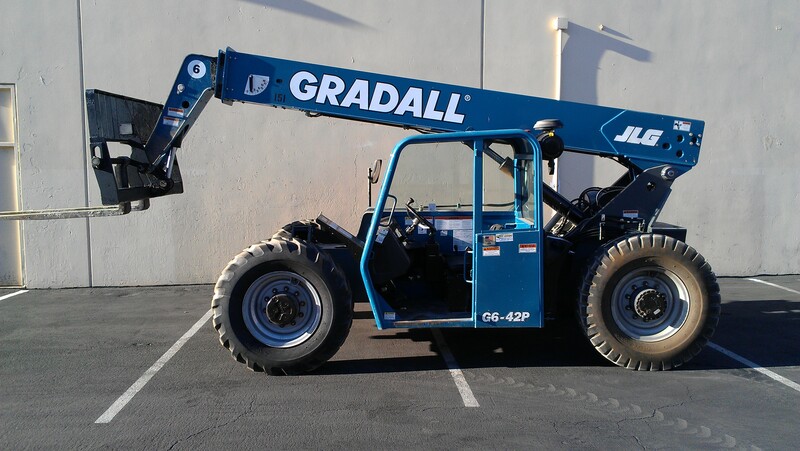 With its 55 foot of reach and 10,000 pound capacity the Gradall 544D was the perfect choice for their application. This Gradall had recently been re-powered by West Coast Equipment with a Tier 3 Perkins engine along with most of the hydraulic system hoses being replaced, it was a perfect machine for the project. 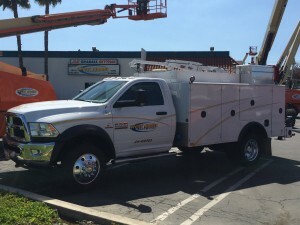 It was then decided that a fresh paint job with new decals and company logo were in order for the appearance our customer wanted to present out on the job site. Along with the paint job West Coast Installed new 1400 x 24 Solideal E3 Rock Lug tires for proven long life use on the job. Equipped with a 100 degree swing carriage and work light kit this Gradall turned out great and looks as good as it did when it was new. Ready to work , this recently reconditioned Gradall 544D reach forklift looks great. 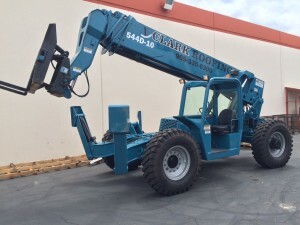 Before the recondition process West Coast Equipment re-powered this Gradall with a new Tier 3 Perkins engine to help meet SCAQMD off-road compliance. SCAQMD compliant Tier 3 repower. 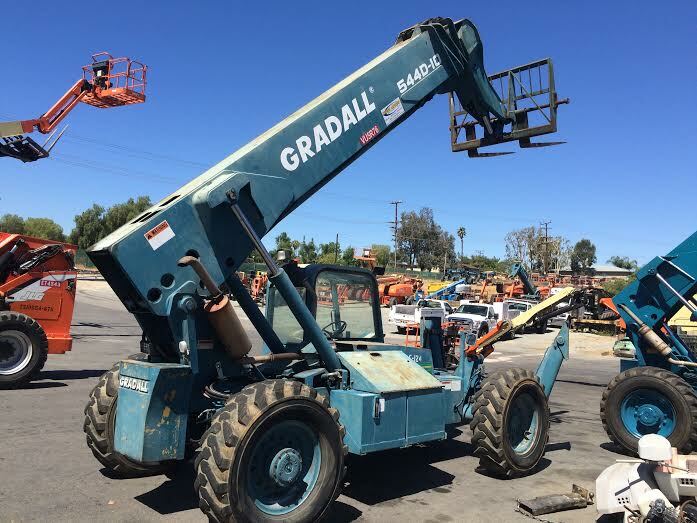 The beginning of the recondition process started out with a 1999 Gradall 544 D. This machine was a trade in and a perfect candidate to restore it back to good as new, work ready condition. 1999 Gradall 544D reach forklift trade in. To get this machine ready to go back to work it first it made a trip through the West Coast Equipment shop for a 115 point inspection to check all mechanical functions and safety related issues. Service manager John Robidoux and his team in the service department provided their expertise in making sure this machine was ready to go. 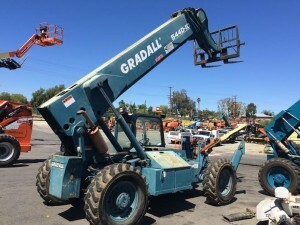 After the West Coast Equipment shop crew did their pre paint services, the Gradall was then ready to head out to New Image paint in Orange California . Tommy and his staff of painters prepare the Gradall for paint by taking the paint back down to the steel and get a good primer base coat on and ready for the factory JLG paint. Its Gradall blue again but nice and shiny ! Back to West Coast Equipment for the final touches before delivery, new factory decals, new seat and belt, load charts and a fresh set of treads. Custom boom decals by ZLT MXID and this Gradall is ready to work. New Image did a great job on the paint. The newly reconditioned reach forklift by West Coast Equipment is ready for delivery to our roofing customer. 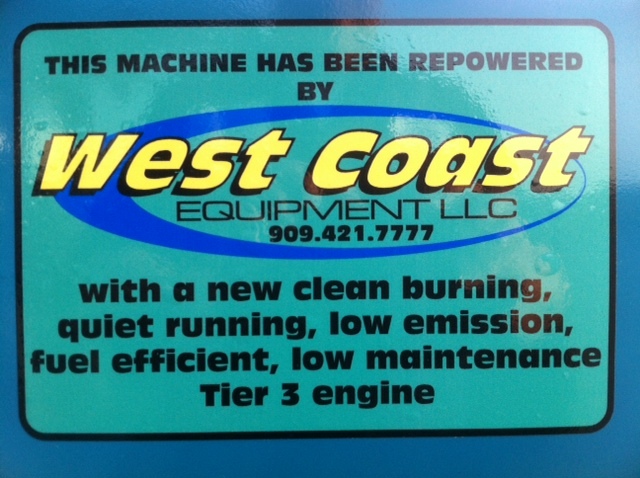 For more information about this process contact the West Coast Equipment service department and ask for John. Scissor lift , boom lift and reach forklift reconditioning is one of our specialities. 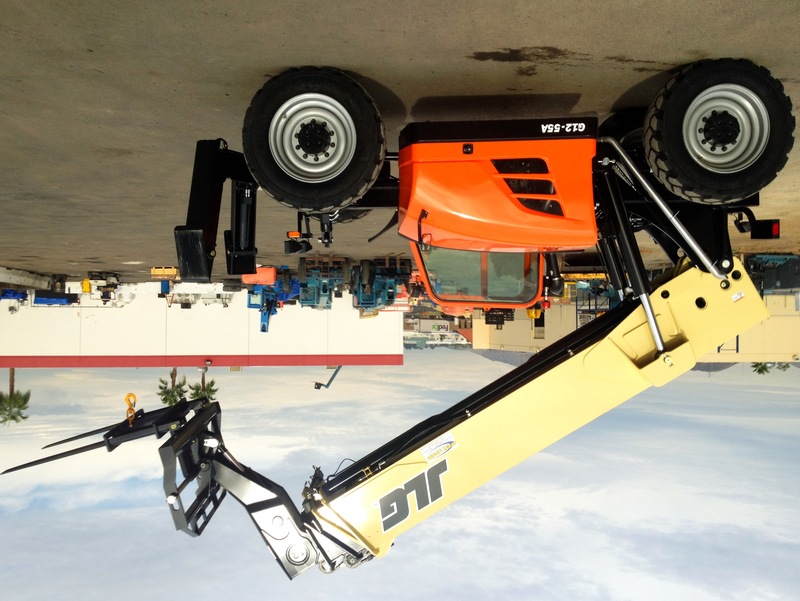 A brand new 2012 G12-55A just sold by our new equipment sales team arrived here at our Corona Ca. facitity for its pre – delivery inspction and preperation. This unit was outfitted with the newest Firestone DuraForce tires a light kit and a fork mounted hook attachment. For more information about the JLG product line of telehandlers contact a West Coast Equipment sales representative at 951-256-2040. THIS UNIT IS SOLD, BUT FOR OTHERS LIKE THIS ONE PLEASE CONTACT TONY FOR MORE INFORMATION AT 714-719-6444. Here is the Giraffe after completing the recondition process. After some time spent in the shop recieving a new engine, and replacing some needed worn parts we shipped the machine to get a new look. The new paint job and decals seat and belt along with a few items in the drivers cab area this machine looks great and is ready to go back to work after a long break. We thought it turned out so well we added it to our rental fleet. Take a look at how it turned out in the pictures below. If you would like more information about our re-condition process feel free to contact our service manager John Robidoux for a detailed estimate on getting your older reach forklifts looking and running like new. 1982 542-25 LOED recon for the City of Burbank. 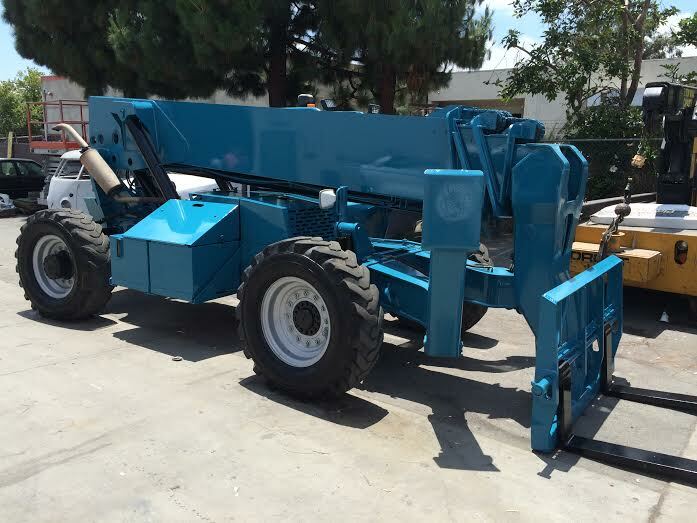 The city of Burbank has hired West Coast Equipment LLC to fully recondition their 1982 542 LOED 15,000 lb reach forklift. 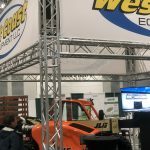 “We took on this project knowing it was going to be a big job but this is the machine they must have in their yard because of its size and its lifting capacity” said John Robidoux service manager of West Coast Equipment. ” They wanted us to really go through the whole machine, so we installed a new 88 h.p. 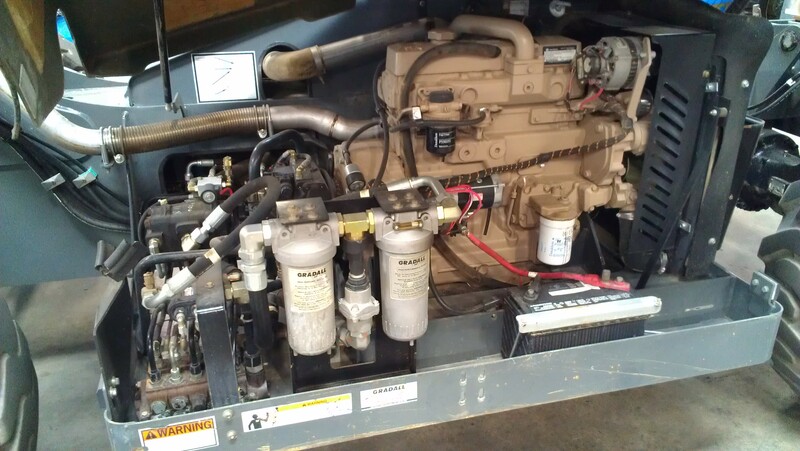 TIER 3 Iveco engine and hydraulic pump along with the new radiator and cooling fan system. We also installed a new wiring harness with new gauges on the dash to monitor the new engines vitals. We have rebuilt the hydraulic lift cylinders and have run all new hoses to the boom and steer axle. The brakes need to be freshened up so the rotor was turned and new pads were installed. The next stop is the paint shop to complete the full effect of this recon. The machine will be painted City of Burbank white and will recieve all the city logos.” Check back for the final assembly of this recondition project after it comes back from the paint department. Is your machine tired, and run down or in need of repair? Let us recondition it back to working condition. 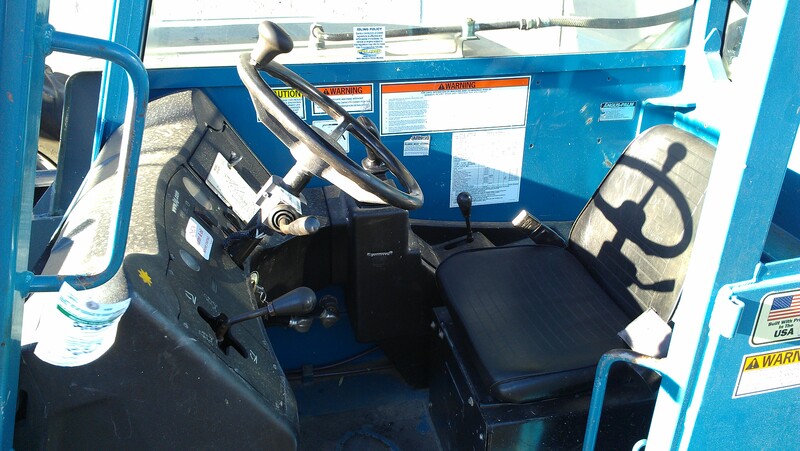 Make an old machine look new again by repainting and installing new operators cab features like a suspension seat and seat belt, load charts and toggle switches and decals on the boom with your company name. 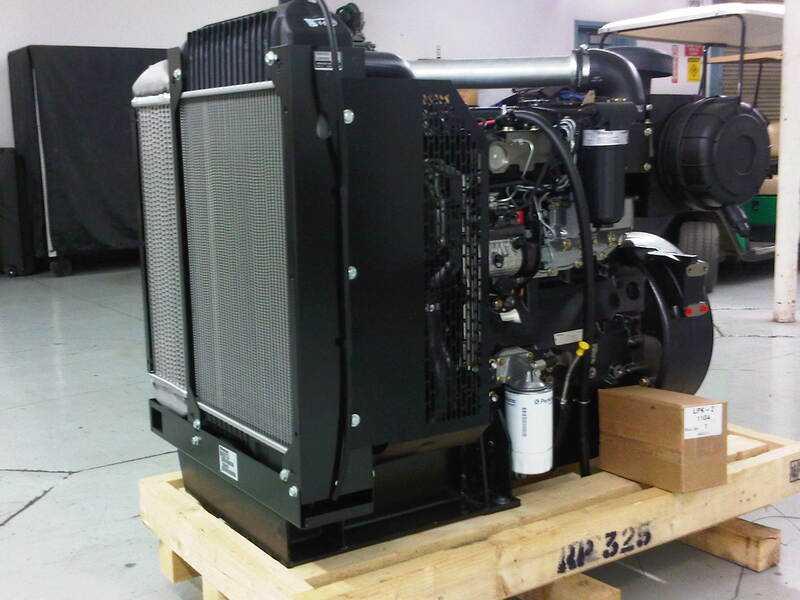 Is your machine ready for a more complete overhaul? Let us rebuild the steer axle and knuckles or service the front drive axle and leaking hubs. Cracked, worn, chaffed hydraulic hoses are a problem when they blow out or spring a leak on your contractors new concrete or asphalt.Lets go through the hydraulic system and install new hoses. This will not only eliminate a leak or blow out, but also down time on the job. A clean well-maintained machine not only makes a good impression, it runs good, has no leaks and does not break down! The Giraffe re-condition project started out as a good machine sitting for a few years. It is a 1999 GRADALL 544 D model that was in overall good condition. 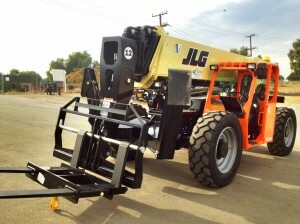 The contractor that owned the machine bought it custom painted from JLG at contractor equipment expo years ago. The engine had some hours on it but the rest of the running gear was in pretty good shape. We brought the Gradall into the shop to check out the rear axle and boom sections to replace the normal wear and tear items. At that time we decided an engine was needed and we had a good low hour engine that fit the bill. Drive motor hoses, tires, 1000 hour preventative maintence and it was off to paint. Before going to the paint shop.